Do you love your local library? Did you read books there as a child? Do you visit as an adult? 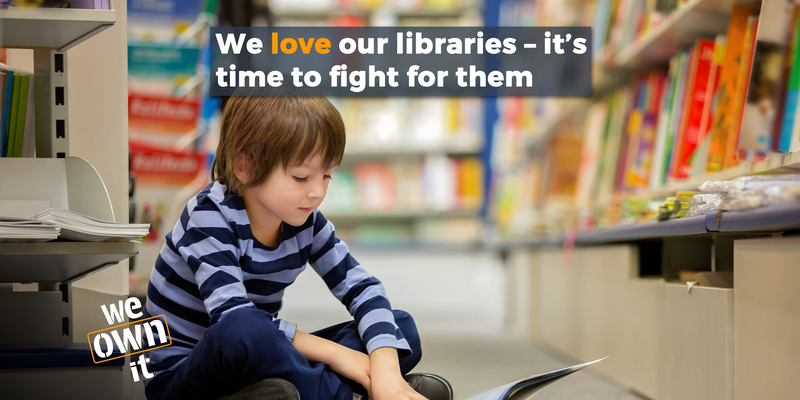 Our libraries are wonderful places - we need to save them! Once upon a time, libraries were created - wonderful places where children and adults could read and explore, learn and enjoy. But then an evil government came into power. The government didn't care about the books and learning, the joy and support that libraries gave people. The government made up a story about 'austerity'. It told councils across the land 'we have to save money'. Huge cuts to local authority funding put libraries under threat. Councils are under a lot of pressure to close libraries or rely on volunteers instead of trained librarians. Libraries have lost £25 million from their budgets and the number of public libraries still open has reached a 10 year low. Book budgets are being drastically cut. A handful of our libraries were privatised and run by Carillion - but they are now being run by councils again. The US, where private company LSSI is the fourth largest provider of libraries, offers us a cautionary tale. World Book Day - love your libraries! Me and my library - in Bristol and beyond!